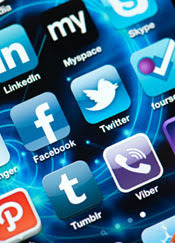 Some 73% of online adults now use a social networking site of some kind. Facebook is the dominant social networking platform in the number of users, but a striking number of users are now diversifying onto other platforms. Some 42% of online adults now use multiple social networking sites. In addition, Instagram users are nearly as likely as Facebook users to check in to the site on a daily basis. This is huge news: the European Court of Human Rights has agreed to hear a challenge to bulk Internet surveillance by the UK spy agency GCHQ. Marc Andreessen, web revolutionary and venture capitalist, wrote an essay for the New York Times called Why Bitcoin Matters. Google says it has ?no current plans regarding Bitcoin? A popular Reddit submission today suggested Google?s payment team was looking to incorporate Bitcoin, naturally sparking a lot of excitement in the virtual currency community. We reached out to Google regarding the claim and learned that it was indeed false.